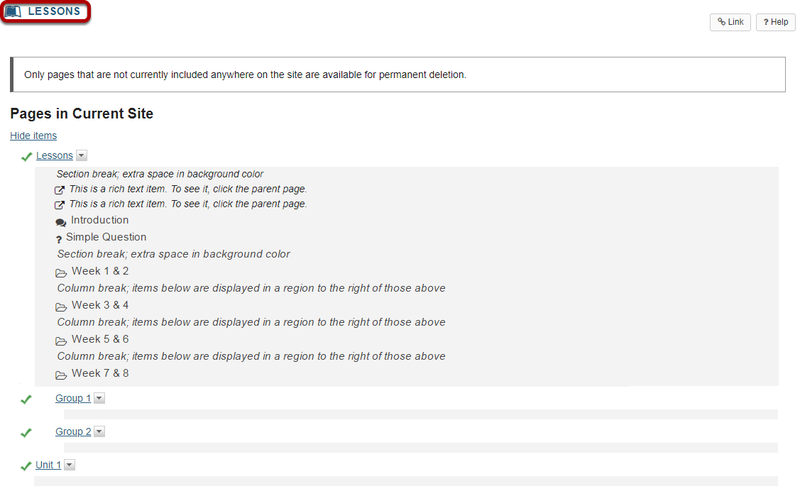 Sakai Community DocumentationSakai 19 User Guide (English) LessonsHow do I view the Index of Pages? 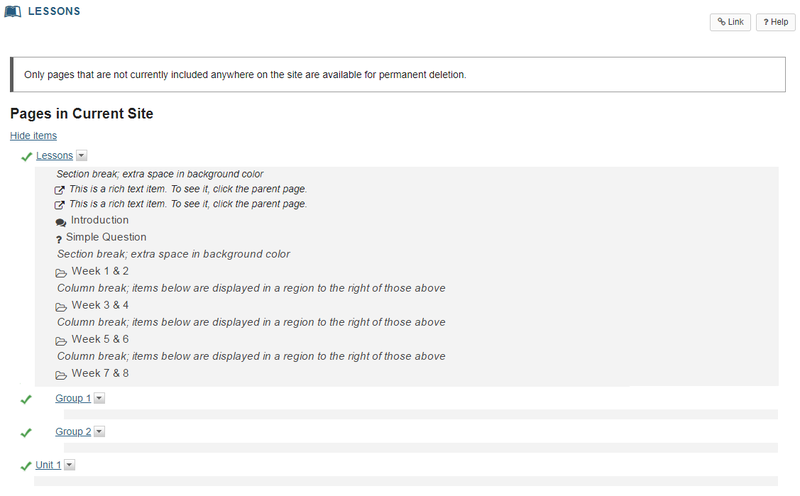 The hierarchy of all Lessons pages in a site is displayed under the Index of Pages button in the top right corner of the Lessons tool. Zoom: Click Index of Pages. Click Show Items to view all items on each page. Zoom: Click Show Items to view all items on each page. Click Tool Home button or on any of the page links to return to Lessons view. Zoom: Click Return to Lesson or on any of the page links to return to Lessons view. Click on the Lessons page title in the breadcrumbs or on any of the page links to return to Lessons view. Prev: How do I add subpages to a Lessons page? Next: How do I require completion of a Lessons item?